Tent pole drapes add that touch of flair and elegance needed to take you event to the next level. Drapes provide a beautiful formal look while hiding tent poles. 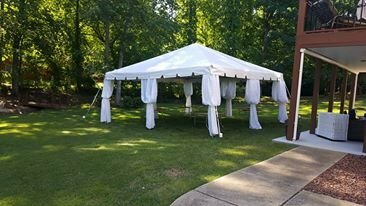 Pole drapes are a great alternative to side walls for the summer It allows a breeze into he tent while also closing the tent in.